Thorofare Capital, Inc. has invested more than $1.2 billion of equity capital, structured as senior secured short-term loans across 10+ property types throughout 28 States since 2010. They lend up to 68% LTV, and they close loans in 5-15 days. They are rated 5 stars on BirdEye and Google. 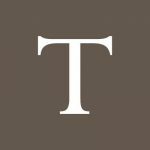 Business Name Thorofare Capital, Inc.
Work For Thorofare Capital, Inc.? Claim This Page.